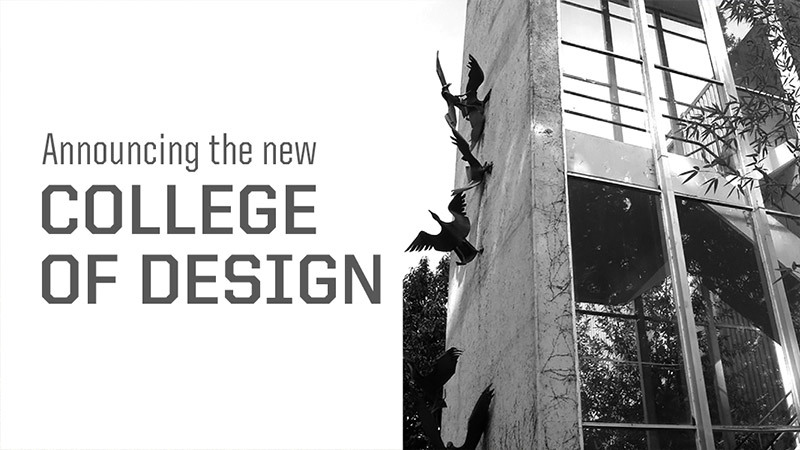 In a message to the campus community, Scott Coltrane, provost and senior vice president, announced his approval, which will transform the school into the College of Design. This structural concept was explored throughout fall 2016, with faculty members, staff and students discussing the idea through a series of workshops, surveys and conversations. Prior to the decision, the concept was also vetted with university leadership and endorsed by the University Senate. “This new model will at once give greater identity, flexibility, funding and philanthropy opportunities to each of the schools and components within the college while preserving the historic cross-disciplinary enrichment which is created by this amalgam of programs unique to the University of Oregon,” said architect Larry Bruton, a 1967 UO graduate, honorary member of the dean’s advisory council and former partner at ZGF Architects in Portland.